Foreign Minister Bob Carr has confirmed Australian lawyer Melinda Taylor is set to be released by 9pm Monday AEST. Detained Australian lawyer Melinda Taylor has finally been allowed to make contact with her family. UPDATE: THE federal government has welcomed news Libyan authorities are expected to release Australian lawyer Melinda Taylor later today. A spokesman for Foreign Minister Bob Carr said "all going well" the International Criminal Court lawyer will be released into the custody of Australian officials tonight and will board a plane bound for Europe by midnight. "We welcome the news that she is likely to be released today," the spokesman told AAP from New York. "We thank the Libyan authorities for their cooperation." Australia also thanks the wider international community for their help and support, the spokesman said. Ms Taylor is likely to be taken to Rome before her onward journey to her home in The Hague. Ms Taylor, along with three of her ICC colleagues, was detained in the Libyan city of Zintan on June 7 while representing Seif al-Islam, the son of the former Libyan dictator Muammar Gaddafi. Libyan officials said she was found carrying documents for Seif that were judged a threat to national security. Senator Carr has lobbied hard for her release, even visiting the Libyan capital Tripoli last month to press her case. Ms Taylor was not able to speak to her husband and young daughter until last week. Senator Carr said Ms Taylor was permitted to call her home in The Hague shortly after a visit by Australia's ambassador David Ritchie. 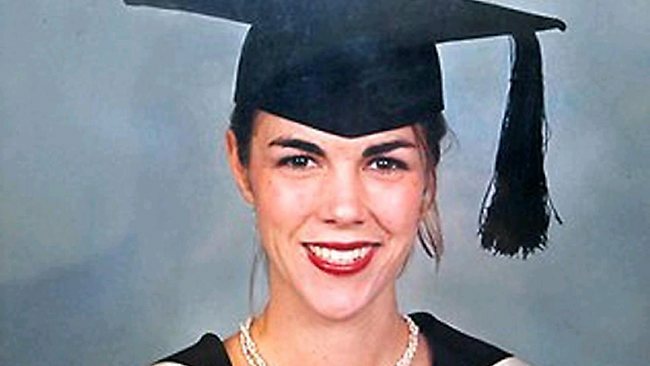 Mr Carr subsequently spoke to Ms Taylor's Brisbane-based parents John and Janelle, who were relieved to hear she was finally allowed a phone call. Her parents had pleaded with Libya to release their daughter in time for her toddler's third birthday in July. The three other detained ICC staffers are from Lebanon, Russia and Spain. Mr Carr said a week ago that talks in The Hague between the ICC and the Libyan authorities had resulted in "the ICC expressing regret, effectively an apology for any misunderstandings". The ICC has stopped short of admitting to any wrongdoing but has said it will fully investigate its team's behaviour upon their return. "When the ICC has completed its investigation, the Court will ensure that anyone found responsible for any misconduct will be subject to appropriate sanctions," it added in a statement issued last month. The ICC wants to try Seif al-Islam, 39, for crimes against humanity during his father's rule, which came to an abrupt end last year. Tripoli insists he should be tried locally and filed on May 1 a motion challenging the ICC's jurisdiction to put him on trial in The Hague.